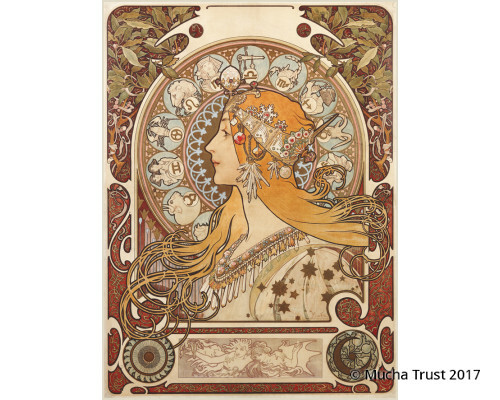 One of Mucha’s most popular designs, Zodiac was originally made for Champenois as an 1897 in-house calendar. However, the editor in chief of La Plume liked it so much he bought the rights to distribute it as the magazine’s calendar for the same year. 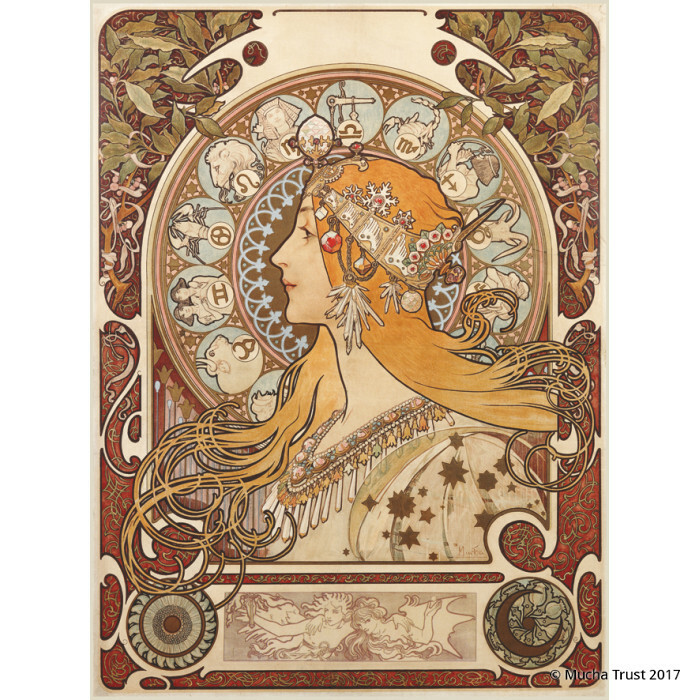 There are at least 9 versions of Zodiac, including this one, which was printed without any accompanying text to serve as a decorative panel.